A suspected minor drug courier fall in Legazpi City Boulevard buy-bust operation. 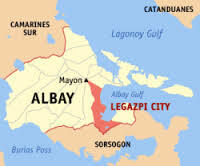 Legazpi City, [01.31.19] – An 18 years old from Camarines Sur was held by authorities in an anti-illegal drugs operation on Wednesday evening in Barangay 59, Puro, Legazpi City, a PDEA Regional Office report said. In a statement from Ms. Cotton C. Yuson, Spokesperson of PDEA Regional Office sent to www.philexaminer.com a buy-bust operation was conducted at 10:05 o’ clock against the suspect identified as Benedict Oliveros y Amoroso, 18 years old, single, jobless, a resident of Barangay San Isidro, Pili, Camarines Sur. Two pcs knot tied transparent plastics marked as MJM -A 1/30/19 and MJM-B 1/30/19 all with signatures containing white crystalline substance suspected as methamphetamine hydrochloride (shabu) weighing an estimated weight of more or less 500 grams with an estimated drug standard value of PhP3.4 million pesos placed inside a brown paper bag with markings MJM 1/30/19 with signature. One pc genuine one thousand peso bill with serial number EA159635 placed on top of one bundle of several pieces boodle money (not valid for legal tender) wrapped in transparent plastic marked with MJM-1A 1/30/19 with signature placed inside a white paper bag trademarked Regatta with markings MJM – 1 with signature. One unit white Samsung Cellphone marked as MJM-2 with signature. Several denominations of money amounting to Two Hundred Fifty-Seven pesos only. Recovered pieces of drug and non-drug evidence were immediately marked and properly inventoried at the scene in the presence of the suspect himself, Media Representative Jeffrey Lubiano, Barangay Chairman (village head) Nicasio Barrios, Jr and Barangay Kagawad (village councilor) Angel Ozaeta of Barangay 59, Puro Legazpi City. The suspect is currently under the custody of PDEA ROV Custodial Facility and is awaiting inquest proceedings. This is considered as second high impact operation accomplished by the agency in Albay and is the third biggest drug haul accomplished by PDEA Bicol within this month of January, Yuson ended.